Whether you’re looking for a Mattress to help your healthy back-care regime or you’re simply looking for a comfy mattress that packs a lot of luxury into a small price then SC Furniture is for you. Each pocket spring is individually wrapped in its own cloth pocket which enables them to move completely independently. The springs are nested under the sumptuous upholstery of silk, wool and cashmere and sumptuous fiber with a knitted fabric for those people who prefer traditional luxury. 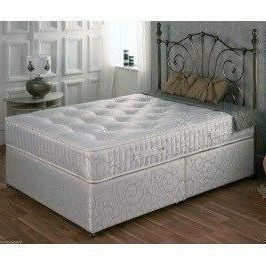 The Slumber King 3000 is a best seller for us and is ideal for those who prefer the higher quality Mattress.